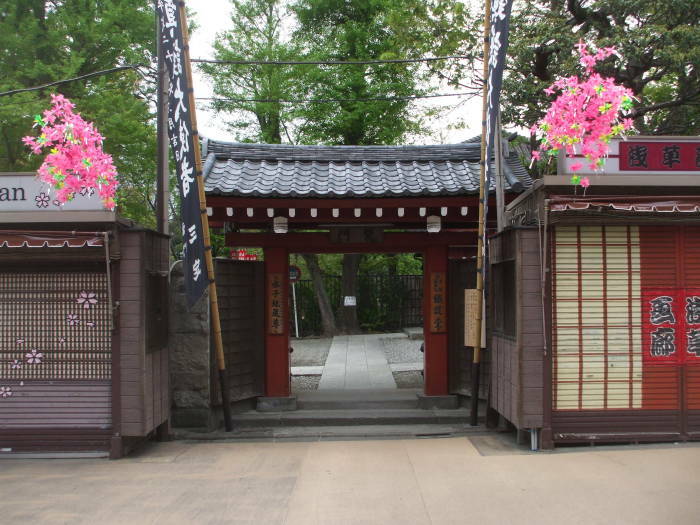 O-tanuki-sama jinja is a small Shintō shrine at the southwest corner of the Sensō-ji complex in Asakusa. 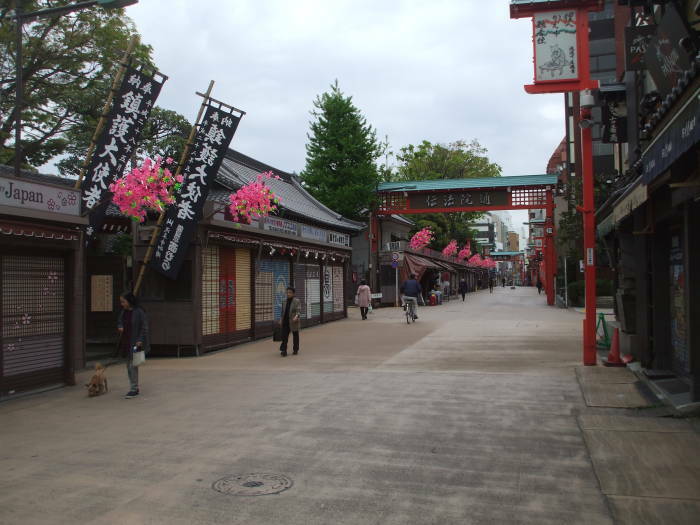 It's relatively quiet, especially early in the morning. 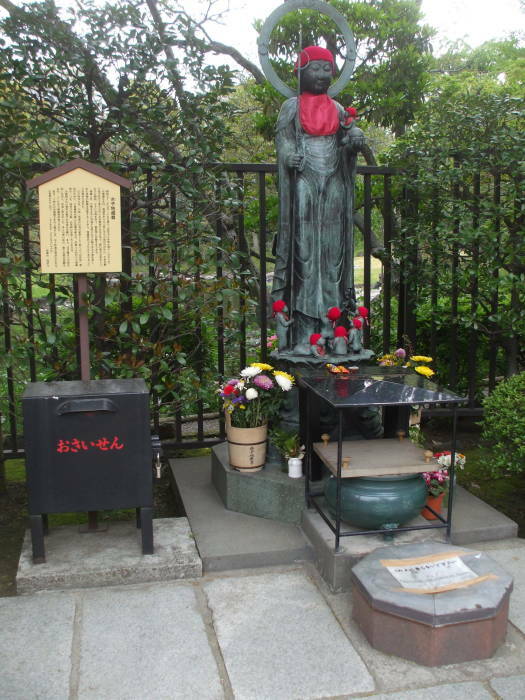 In 1872 a steward of the Sensō-ji temple consulted with that temple's chief priest. According to the story on a sign here, the steward was troubled by some raccoon-dogs that were causing mischief in the garden at Sensō-ji. It's not at all clear what was going on. There are raccoon-dogs in Japan, Nyctereutes procyonoides viverrinus is a peculiar looking close relative of the foxes. It's known as たぬき or tanuki. The chief priest told the steward to show some respect. They aren't just tanuki or raccoon-dogs, and not just o-tanuki or holy raccoon-dogs, they are O-tanuki-sami or Sir Raccoon-dog. 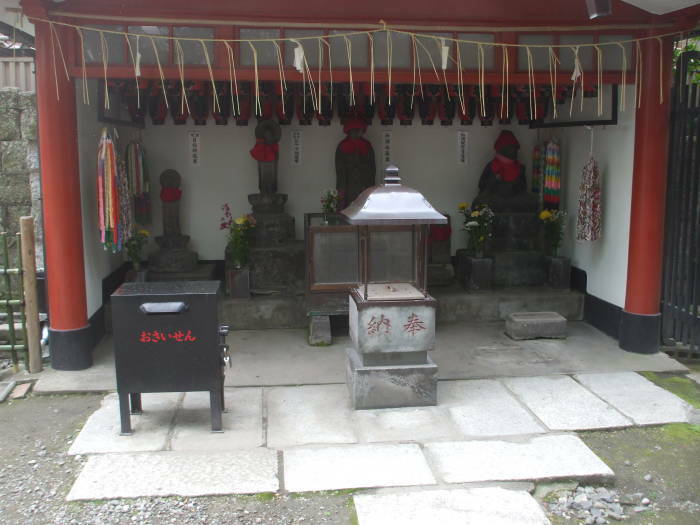 The steward set up a shrine where he enshrined the spirit of O-tanuki-sami and, voila, no more raccoon-dog problems! 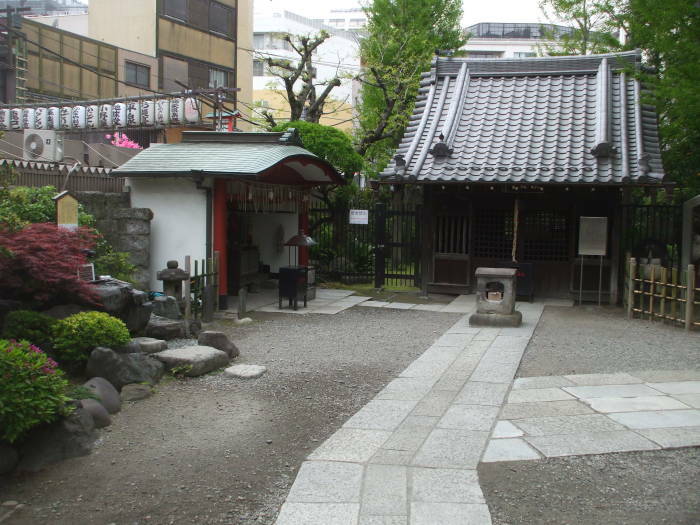 In 1883 that small shrine was moved to its current location and the existing shrine building was constructed. It was rebuilt in 1913. Festival rites are conducted every year on March 17th and 18th. 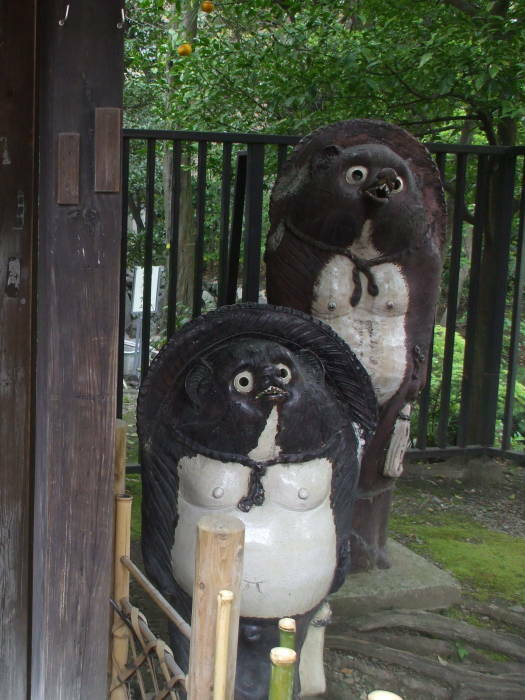 O-tanuki-sama is also known as Chingo-do. He is the deity of protection against fire and theft and a protector of businesses. You often see these statues outside restaurants. 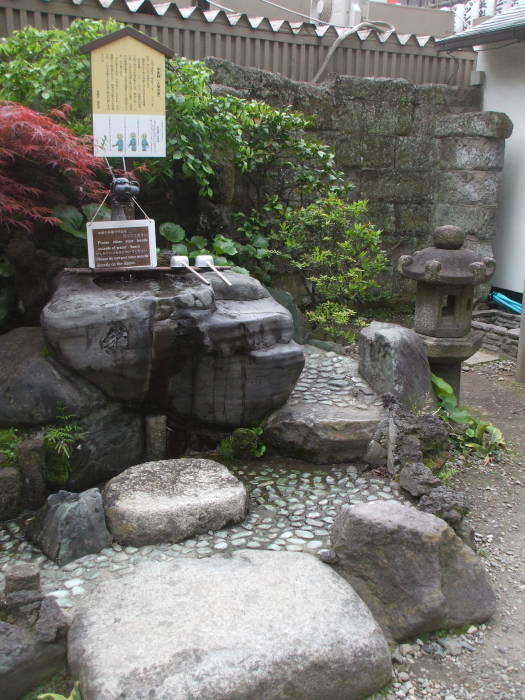 The ablution fountain or chōzubachi uses a hollow in a boulder as a reservoir. The signs have directions for how to clean your hands and mouth to begin a visit.